The National Hydrology Meteorology Forecast Center reported that extreme chilly temperature in combination with the east wind convergence have created a risk of medium- heavy downpours across the central provinces from Quang Tri to Khanh Hoa from December 16- 17. Total average rainfall is 30- 60 mm a day, especially the highest rainfall in Thua Thien- Hue to Binh Dinh could reach up 50- 100 mm per day, even over 120 mm. Risks of flashfloods, landslides and flooding are warned to occur in low- lying areas of Quang Nam province of Bac Tra My and Nui Thanh districts this evening. Temperature in the north has slightly increased, and damaged cold forecast only hit the high mountainous areas. The lowest temperature in the northern region could reach 13- 16 degrees Celsius. 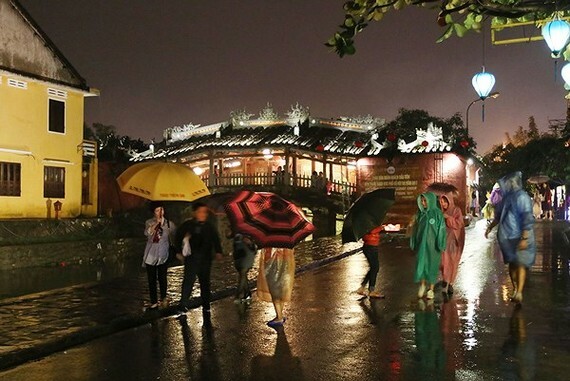 The capital city of Hanoi is forecast to experience deep cloud, showers, breeze, air humidity of 60-94 percent, minimum temperature of 14-16 degrees Celsius and maximum temperature of 18- 20 degrees Celsius. Both the south- central provinces and cities from Da Nang to Binh Thuan and the central highlands region will suffer medium- heavy rains and thunderstorm. 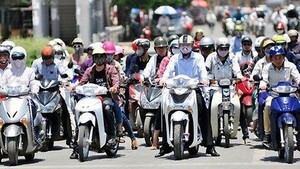 The same weather condition is predicted to sweep through the southern region and Ho Chi Minh City.